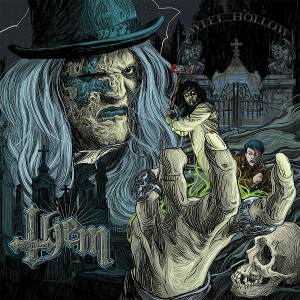 German/US Heavy Metal band THEM has released their debut album “Sweet Hollow” in CD format through a Belgian record label Empire Records on September 30th. Now it'll be available worldwide on November 11th. 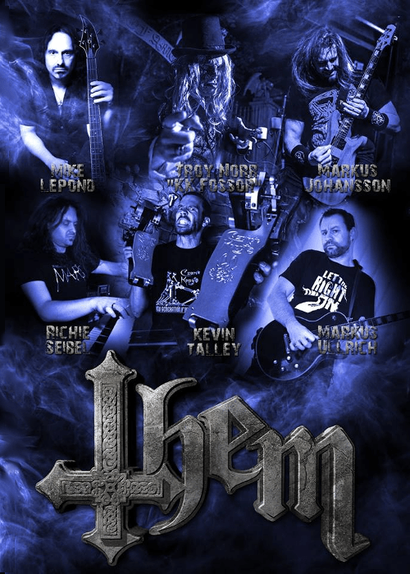 THEM was originally formed in 2008 by singer Troy Norr as "Them - The King Diamond Tribute" with 3 of the 5 band members coming directly from the late 80's thrash metal band COLDSTEEL. This tribute band had performed songs from King Diamond and Mercyful Fate in the NY Tri-State area as well as Ohio and Michigan. Some performances included Mike Wead (King Diamond) as well as Hal Patino (formerly of King Diamond). After 3 and half year run, THEM was converted into an all original outfit with all new band members stemming from Symphony X, Suffocation, Lanfear, Sylencer and set out to write the debut album. The line-up is Troy Norr aka Klaus Konig "KK" Fossor on vocals, Markus Ullrich and Markus Johansson on guitars, Mike LePond on Bass, Richie Seibel on keyboards and Kevin Talley on drums. “Sweet Hollow” is a concept album that chronicles the bizarre journey of a man caught between unfortunate circumstances and unspeakable evil.